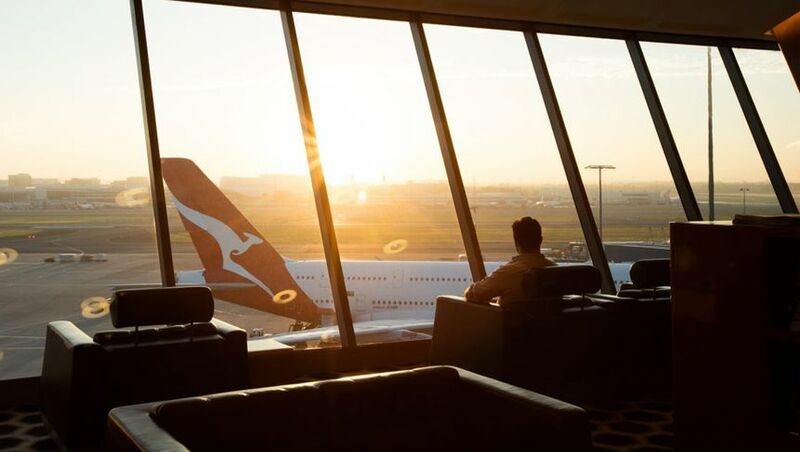 With up to five airport lounges at Sydney Airport serving passengers jetting abroad with Qantas and its partner airlines – and some travellers having access to as many as four lounges before a single flight – choosing which lounge to visit isn’t always an easy decision. 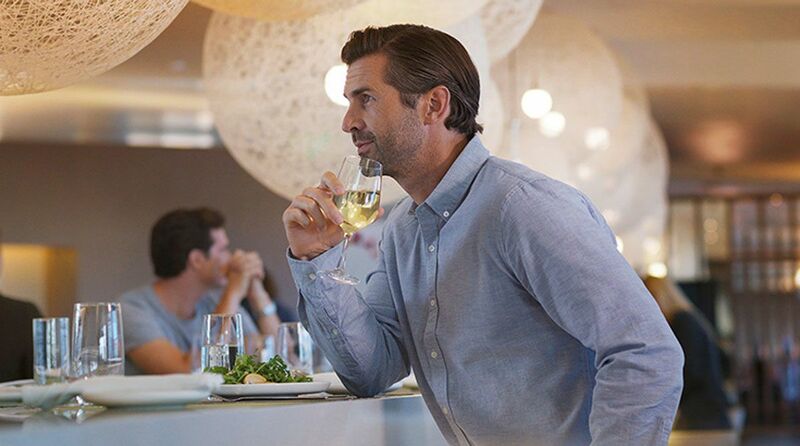 While travellers with access to the Qantas First Lounge will naturally gravitate there, business class flyers may prefer to spread their wings beyond the Qantas Business Lounge and explore the Emirates Lounge or The House instead, when their boarding pass provides access, or even the AMEX Lounge if eligible. Here are the five international lounges available to Qantas and partner airline passengers at Sydney Airport, including who gets in, when the lounge is open, and why you’d choose that lounge over another. Where it is: After duty-free, up the escalator near gate 10. First class passengers of Qantas, and of its partner airlines British Airways, Emirates and Qatar Airways. 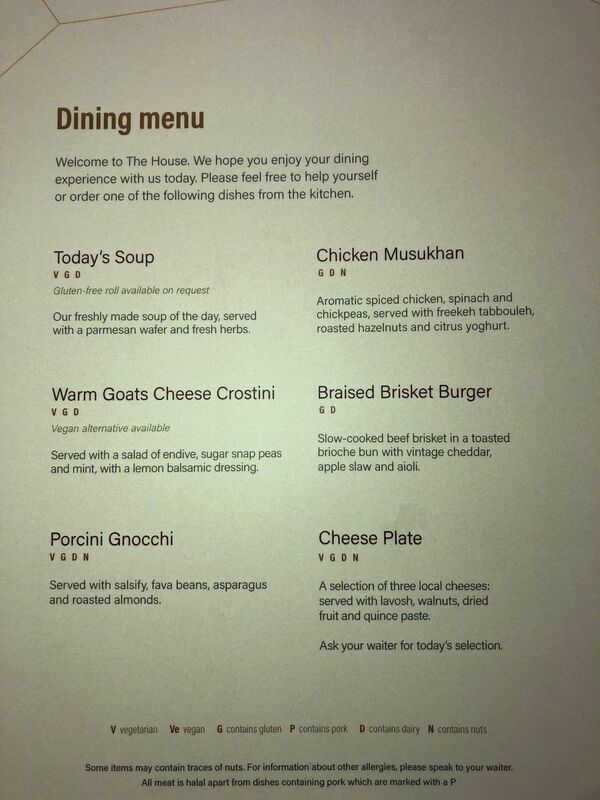 Qantas Platinum, Platinum One and Chairman’s Lounge members, when travelling with Qantas, on a Qantas codeshare flight (e.g. QF367 to Seoul, operated by Asiana), or with American Airlines, British Airways, Cathay Pacific, China Eastern, Emirates, Japan Airlines, Jetstar, LATAM, Malaysia Airlines or Qatar Airways. Other Oneworld Emerald frequent flyers travelling with Qantas, or its Oneworld partners American Airlines, British Airways, Cathay Pacific, Japan Airlines, LATAM, Malaysia Airlines and Qatar Airways. Emirates Skywards Platinum and iO members travelling with Emirates; or on a Qantas flight with a QF or EK flight number, excluding North American, South American and South African destinations. Why you’d visit: If you make the cut for First Lounge access, there’s no reason to visit any other lounge – this is where you’ll find the day spa, where you can enjoy a complimentary massage, facial or other treatment before your flight. Qantas first class and Chairman’s Lounge passengers flying Qantas have ‘first dibs’ on these bookings the day before travel, but can also be enjoyed by any other guests in the lounge on a first-come, first-served basis on departure day. … and spend the rest of your time as you please, whether that’s getting work done in one of the private suites or the quiet library area, or just kicking back and relaxing until your flight is called. Where it is: Up the same escalator as the First Lounge, but further along the same corridor. Business class passengers of Qantas, plus American Airlines, British Airways, Cathay Pacific, China Eastern, Emirates, Fiji Airways Japan Airlines, Jetstar (Business Max fares only), LATAM, Malaysia Airlines and Qatar Airways. Qantas Gold frequent flyers travelling with Qantas, on a Qantas codeshare flight, or with American Airlines, British Airways, Cathay Pacific, China Eastern, Emirates, Japan Airlines, Jetstar, LATAM, Malaysia Airlines or Qatar Airways. Qantas Club members departing with a Qantas or Jetstar flight number on their ticket (including codeshare flights operated by other airlines, such as Emirates). Other Oneworld Sapphire frequent flyers travelling with Qantas, or a Oneworld airline (in Sydney, that’s American Airlines, British Airways, Cathay Pacific, Japan Airlines, LATAM, Malaysia Airlines or Qatar Airways). 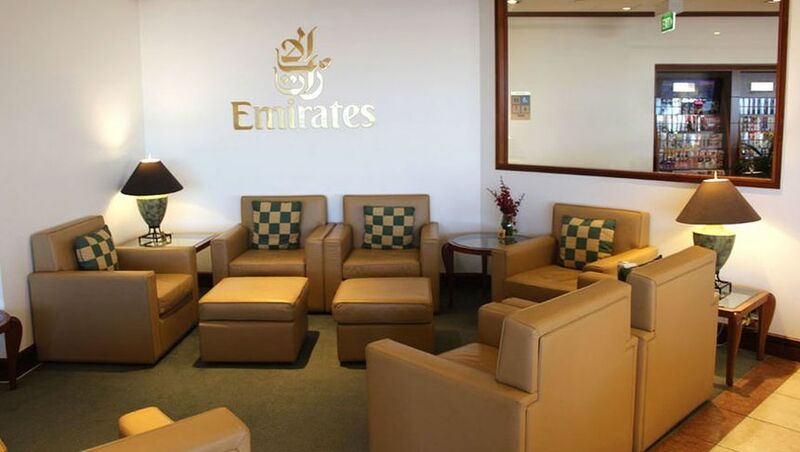 Emirates Skywards Gold members travelling with Emirates; or on a Qantas flight with a QF or EK flight number, with the same exclusions as Skywards Platinum when travelling to North/South American and South African destinations. American Airlines Admirals Club members booked on a Qantas or American Airlines flight. China Eastern’s Eastern Miles Gold and Platinum members travelling to Mainland China with Qantas or China Eastern. Fiji Airways Tabua Club members flying with Fiji Airways, or for Tabua Club Plus members, with Qantas or Fiji Airways. Why you’d visit: Can’t get into the First Lounge? Chances are, you can use the Business Lounge instead, which offers all-day barista coffee, often a gelato counter, and at certain times, a ‘plate of the day'. However, given the broad access list here and the sheer number of eligible flights – not to mention those of other non-partner airlines that also use this as their contract lounge – this lounge can get very busy, so in most cases, it isn’t a space you’d arrive particularly early to enjoy. That’s where your other lounge alternatives come into play, which may be a better choice depending on your ticket type, frequent flyer status, or the type of credit card you hold. When it’s open: Currently, 3am-8:45am and 1:45pm-9:45pm daily, being at least three hours before each scheduled Emirates flight departure. Business class and first class passengers of Emirates travelling to all destinations, and of Qantas – except on flights to North America, South America and South Africa. Qantas Gold, Platinum, Platinum One and Chairman’s Lounge members travelling with Emirates, or with Qantas – except to the destinations excluded above. Emirates Skywards Gold, Platinum and iO members flying with Emirates, or with Qantas – excluding flights to the regions above. Skywards iO (invitation-only) members may also gain access on other flights, including Qantas flights to those excluded regions, subject to space availability during opening hours and at the lounge manager’s discretion. Emirates Citibank World Mastercard holders using one of their complimentary Emirates lounge passes, but only when flying Emirates on an EK flight number. Why you’d visit: In a word, Champagne. While the Qantas Business Lounge tops out at Australian sparkling wine, expect to find Moët & Chandon NV here as a minimum, or even Veuve Clicquot from time to time, which many travellers prefer. 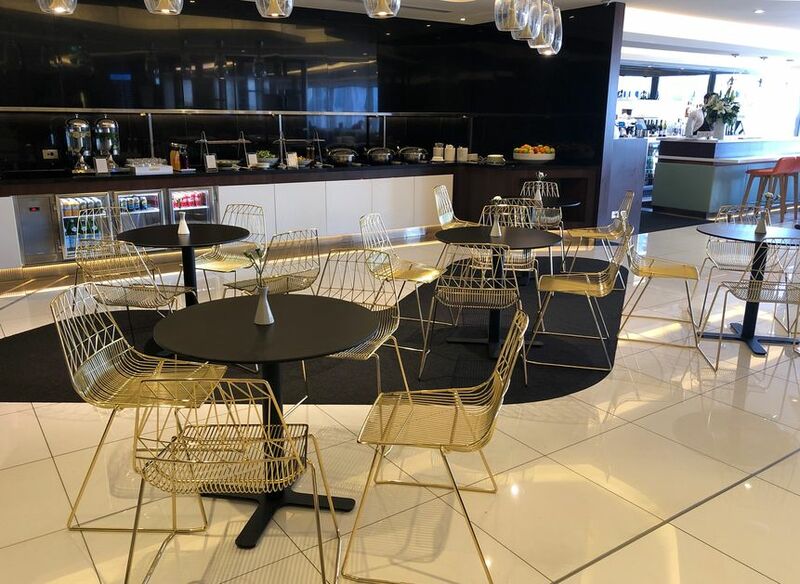 Compared to the hustle and bustle of the Qantas Business Lounge, the Emirates Lounge tends to be quieter, even in the evenings when multiple Emirates flights are departing – giving you more space to work and relax, plus a wider variety of buffet choices. When it’s open: At least three hours prior to BA flight departures, and those of the lounge’s other contracted airlines. Qantas Gold, Platinum, Platinum One and Chairman’s Lounge cardholders travelling with British Airways only. Business class (Club World) and first class passengers of British Airways only. Other Oneworld Sapphire and Emerald frequent flyers travelling with British Airways only. 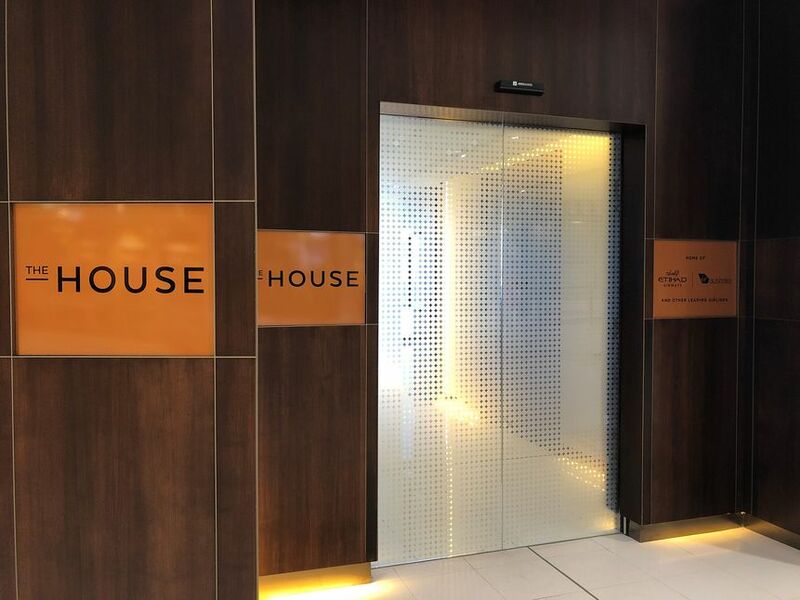 Why you’d visit: For BA business class passengers and Gold-grade frequent flyers booked with BA, The House again represents an upgrade over the Qantas Business Lounge, offering full à la carte dining as opposed to the buffet and ‘dish of the day’ concept down the hall at Qantas. There’s Champagne, too – Devaux Grande Reserve Brut NV – although for first class passengers and Platinum-tier frequent flyers, the Qantas First Lounge remains available under Oneworld alliance rules, and will likely remain the preferred choice for those eligible. Where it is: Next to gate 24, and to the left of the SkyTeam Lounge. Unlimited access: American Express Centurion, Business Centurion, Platinum Charge Card, Platinum Business Card and Corporate Platinum Card. Two complimentary visits per year ($55/visit thereafter): Qantas AMEX Ultimate, AMEX Velocity Platinum, AMEX Explorer, AMEX Business Explorer, David Jones AMEX Platinum Card, AMEX Platinum Reserve, Qantas AMEX Corporate Platinum, AMEX Westpac Altitude Black, AMEX Airpoints Platinum (issued in NZ). Why you’d visit: With the Qantas Business Lounge well past its prime and overdue for refurbishment, the American Express Lounge is a nice alternative for travellers brandishing an eligible AMEX card, but take note, the AMEX Lounge also has its peak periods. According to location data analysed by Google, the AMEX Lounge is busiest between Thursday (pictured below) and Sunday each week, especially 8am-11am and 7-8pm, but is often at its quietest between 5-7pm on most days, and is also generally quiet after 8pm. When travelling with Qantas’ partner airlines, I find the best use of the AMEX Lounge to be later in the evenings, before flights to Kuala Lumpur with Malaysia Airlines or to Doha with Qatar Airways, where I’ll first stop by an airport restaurant for dinner using Priority Pass dining credit, and then make my way to the AMEX Lounge when the crowds have thinned. 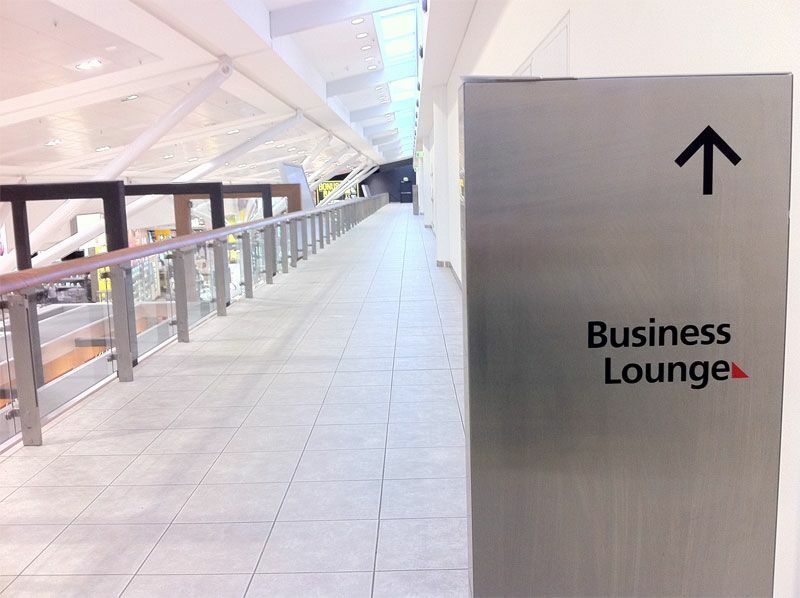 The AMEX Lounge offers bartender service, barista-made coffee, buffet dining and sparkling wine (Grant Burge), and while there are no showers upstairs, staff at reception may be able to secure a shower appointment for you in the SkyTeam Lounge below, subject to availability. Another very well researched article that puts lots of info together from multiple sources, although the BA add-on is only relevant to a small number given its sole flight a day in and out of Sydney. 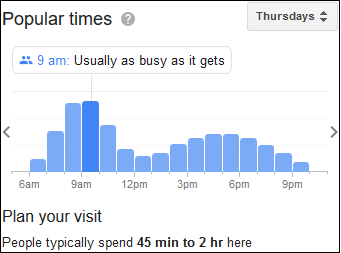 How does Google obtain this location data? Is it compiled using egregious tracking data from the GPS location of smartphones? Airport lounges are not always super large, so how does it ensure accuracy when there is lots of steel and glass in buildings to make 'coverage' challenging? A good overview of available lounges in Sydney International. Depending on your flight status and loyalty program status as to where you go. I've visited most of these lounges and all are good. I recall a recent flight where when I got to the gate there was an "unexpected" delay. The Amex lounge was right there and I went in for a few drinks until it was time to board. My only suggestion is to have a broad range of cards that give you access to as many lounges as you can. Where do the (QFF Silver) Complimentary Lounge Invitations fit on this matrix? Qantas Club invite, but can use Qantas Business Lounge when there is no Qantas Club. The American Express Lounge is a very disappointing experience- it is very hard to get a seat during the morning peak, there is a constant queue for the limited toilet facilities and the food offerings are very limited and generally of poor quality. The lounge is very small and feels confined, it is always understaffed and the overall result is a chaotic, rather than a relaxing, pre flight experience. 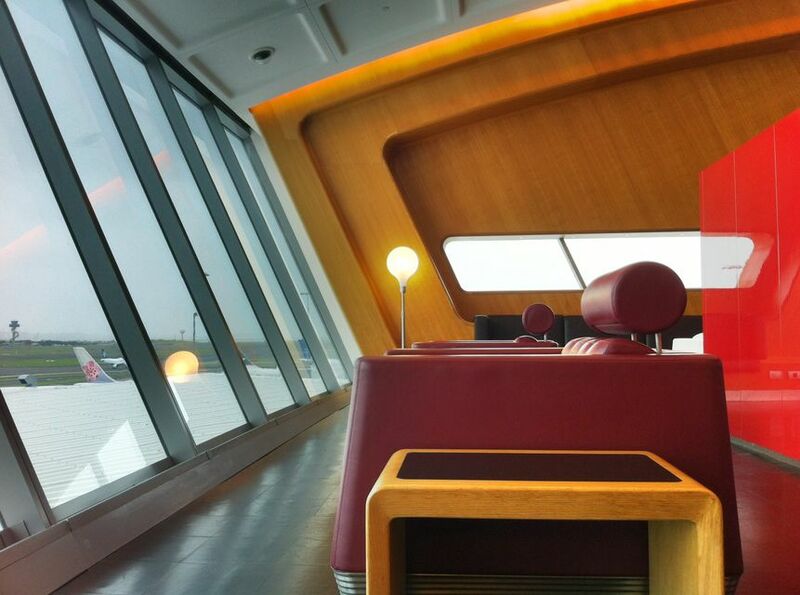 How I miss my QF Platinum status and the QF First Lounge! The article inadvertently highlights the only reason for visiting the QF Int Business Lounge: can't get into the First Lounge. The J lounge is laughably bad and "plate of the day" is code for "we only offer one hot food option, even at peak dinner time." Was at the QF Sydney business lounge Saturday. It can only be described as lounge pandemonium. Getting a seat requires walking up a down the lounge and then engaging in a Le Mans start dash to any seat that is abandoned. Then sitting in and around the muck (plates, cups, etc) of the last user. Buffet food dishes often empty because staff cannot keep them full, fast enough. Is still a world class lounge but need to be at least 25% bigger in terms of space and staff numbers. I don't think anything over the Easter long weekend counts as a valid review. why not? If it is a busy time of year, it means they are carrying lots of passengers (making lots of money). You judge a company on how they perform at their busiest, not when they are quiet. That's a valid point, but it's a heavily qualified review and may not reflect the real-world experience for the other 360 or so "less-busy" days of the year. There's a reason that most retail or service industry mystery-shopping/ assessments etc are rarely done at certain times or certain days. It's not the typical customer experience when staff aren't under atypical constraints or pressure. Even if management schedule the staffing rosters to their maximum, those personnel may not be doing their usual routine duties, they're working extended hours and/or shifts are filled by casuals that may have minimal training or experience in that role. 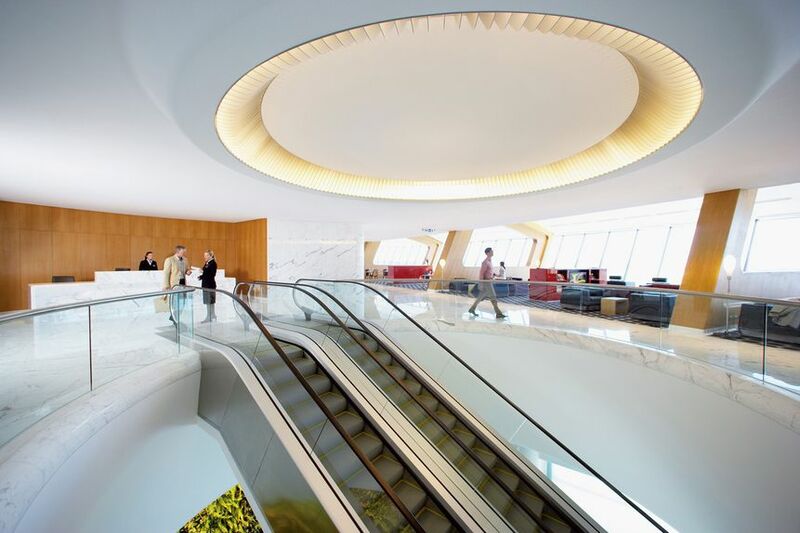 Comment on "A Qantas flyer's guide to Sydney international airport lounge access"